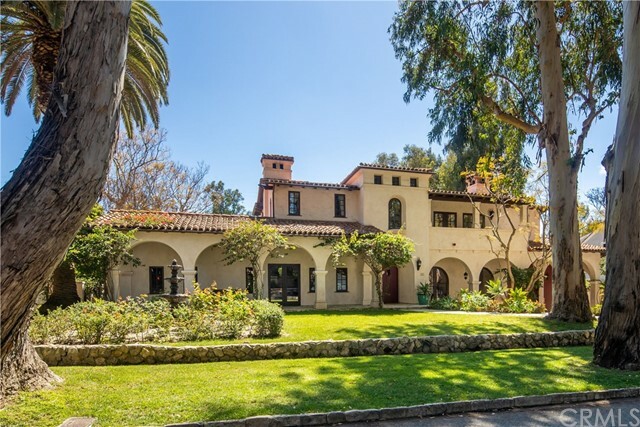 Situated on a double lot on one of Palos Verdes Estates’ most desirable streets, this amazing Old Spanish has charm and character virtually impossible to recreate. Originally built in 1927, this incredible home underwent an extensive renovation in 2006. The dramatic two story foyer is the perfect entry. Whether enjoying the magnificent living room or the vintage dining room, the Billiard room, or the cozy media room, each living space was purposely designed, and beautifully executed. The classic kitchen has a modern edge to it, and opens to the relaxing den. The lushly landscaped backyard features numerous fruit trees, an outdoor fireplace, a bubbling spa, and a built-in BBQ. The detached casita is ideal as a home office, or guest house. Last, but certainly not least is a spectacular 1500 bottle, temperature-controlled wine cellar. Discover Valmonte at its finest.